There are a number of reasons nowadays why you might want to embark on preparing a draft parenting agreement. State statutes may require the parents to prepare a parenting agreement together or independently of one another. A judge might require each party to prepare a parenting agreement, usually independently of one another. A custody evaluator might require each party to prepare a parenting agreement, usually independently of one another. Your lawyer might require you to draft a parenting agreement for them. 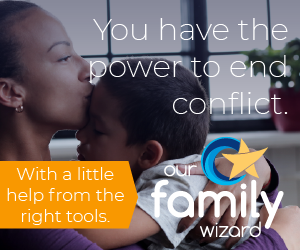 With that in mind, consider purchasing our Custody Agreements e-Book which does an excellent job of prompting you to consider issues that might not jump into your mind as well as some pitfalls that might crop up and be worth a second look. In the some of the instances above, in particular #2 and #3 – it gives judges and custody evaluators an opportunity to see where each party stands with regard to a parenting plan. Chances are, if you’re litigating, you’re far apart. However, the parenting agreement draft gives these authorities a chance to assess each person’s petition without all of the anger, rage, mudslinging, or any other extraneous interference. In the case of your attorney, our feelings are that a good one will instruct you do to so (as we are now). It’s both a tremendous time save and money saver for the very same reasons as written above. You eliminate the time spent speaking of hurt feelings, upset, emotion associated with your predicament and instead focus on your ultimate goal. That goal is meaningful parenting time with your children. It demonstrates your level of commitment to being an important part of your children’s lives. Depending upon the depth of your draft parenting agreement, it demonstrates your understanding of all of the issues, activities, health, well-being, education, religion, etc. which make up the whole of their lives. Absent any provable issues of parental fitness or willingness on the part of the other party, you will also show the court how committed you are to fostering a good relationship between the children and your ex-partner. There are clearly other benefits, but those are at or near the top of major ones. Another key factor to consider is the ages of the children. Consider incorporating some long term issues that may require being addressed at a later date in an effort to help keep the parenting agreement current. Even if you don’t go to that length, be sure to regularly review any implemented parenting agreement for age appropriateness or life-changes and consider updating yours accordingly.